RESEARCH -Developed in conjunction with leading companies. PRODUCER STATEMENT -Spiders can be used in the appropriate manufacturer's statements tested. QUALITY MATERIALS -Stainless steel 316/304 (certificates available before you buy test-request). POWER CERTIFICATES -Can be used to install a pull-apart. Note Give yourself a different life choose us! What you need to do is give the measures or specific drawings or just like the style we offer affordable rates for design and within 24 hours. Our products are fully tested and trial installation is required. What makes us special, we always listen to our customers based on its needs and design. We are always security, durability and quality care of our 10 years experience with more. 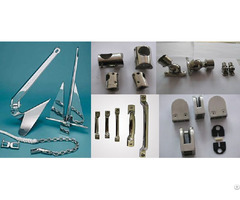 You can modify to meet your material and technical requirements. OEM can be used for large amounts of orders.